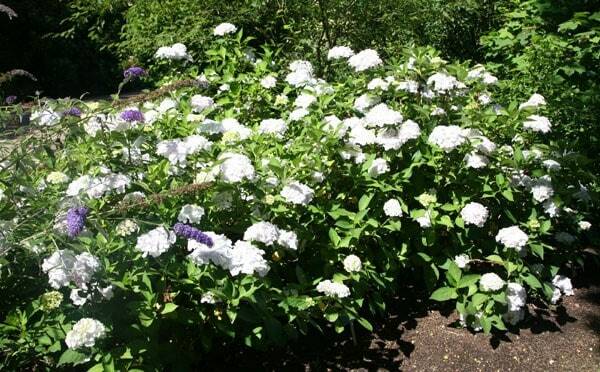 Wonderful, white flowers from July to August, becoming pink-tinged with age, and coarsely toothed, dark green leaves. This popular, mophead hydrangea is ideal for brightening a partly shady border with moist, well-drained soil. While young it makes an attractive container or house plant.